Prince Harry and his best-man brother Prince William have emerged from Windsor Castle to greet some of the thousands of well-wishers who have come to town west of London for the royal wedding. 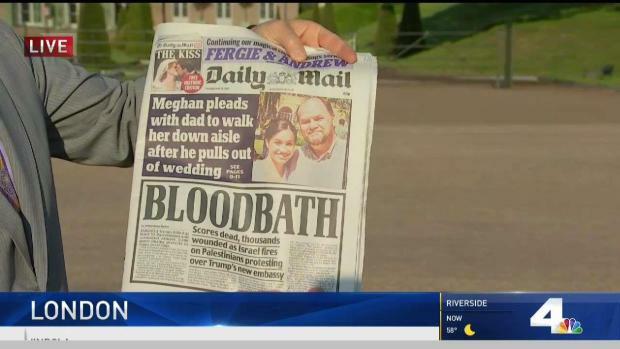 The 33-year-old groom and his 35-year-old brother shook hands and chatted Friday with some of the royal fans from around the world who have gathered ahead of Saturday's wedding at Windsor Castle. A smiling Harry gave a thumb's up and answered "Great, thank you" when asked how he was feeling. He also accepted a teddy bear from one well-wisher as he talked with people from Britain, the United States, Canada and elsewhere. The prince is marrying American actress Meghan Markle on Saturday in St. George's Chapel at Windsor Chapel in front of 600 guests and a huge global television audience. It was also confirmed by Kensington Palace Friday that Markle's mother Doria Ragland met with Queen Elizabeth and The Duke of Edinburgh along with Prince Harry at Windsor Castle this afternoon. In a break from the care with which royal events are normally planned, some of the wedding details are still being worked out. In a statement Friday, Kensington Palace announced that Prince Charles will walk Markle down the aisle Saturday. 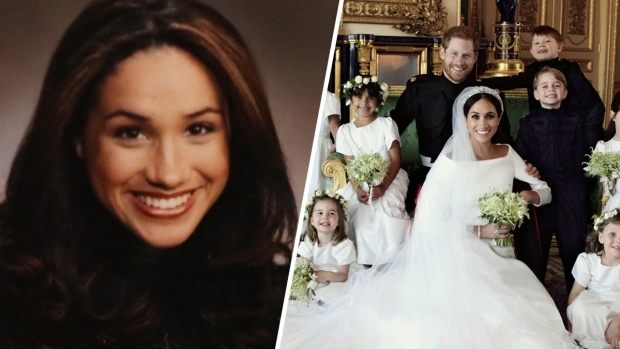 Her father, Thomas Markle, decided not to attend the wedding for health reasons. The reclusive former TV lighting director also touched off a scandal after allegedly being caught staging photographs with the paparazzi. As Queen Elizabeth II prepares to meet Meghan Markle's mother, Doria Ragland, before the actress' wedding to Prince Harry, one commoner who married into the family offered a bit of advice: Just relax. Mike Tindall, the former captain of the England rugby team, says the royal family welcomed him with open arms when he married the queen's granddaughter Zara Phillips in 2011. Tindall told ITV that family members can spot it easily when people are nervous. He said they will "go straight over and take away all of that tension straight out of the room, and that's what they are amazing at. Then suddenly you're in the family and they welcome you." Meanwhile, British police are manning barricades and patrolling the grounds around Windsor Castle as authorities take on the massive security operation for the wedding. The barricades are in place to deter attackers using vehicles, such as the one on Westminster Bridge in London last year. Sniffer dogs and mounted patrols are also out and about. The Thames Valley Police said guests and spectators will be subject to airport-style security scanners and bag searches. 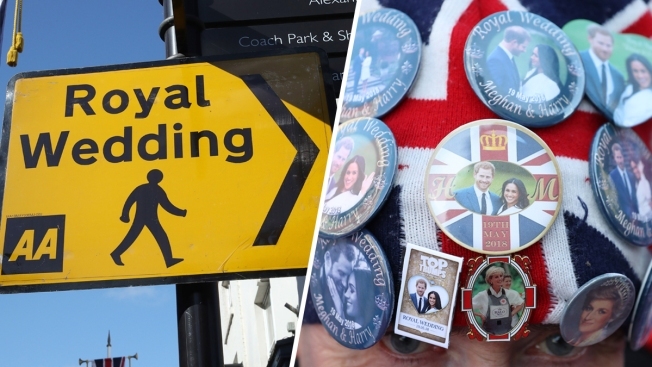 Royal fans are also being asked not to throw confetti, particularly during the procession, as police said "it poses a potential security risk and it's a bit of a pain to clean up!" Tens of thousands of spectators are expected in the town west of London for the newlyweds' carriage ride route after their ceremony.